Over the weekend I was running errands around Union Square and came across the construction site for the renovation of the old Tammany Hall building at the northeast corner of the park. 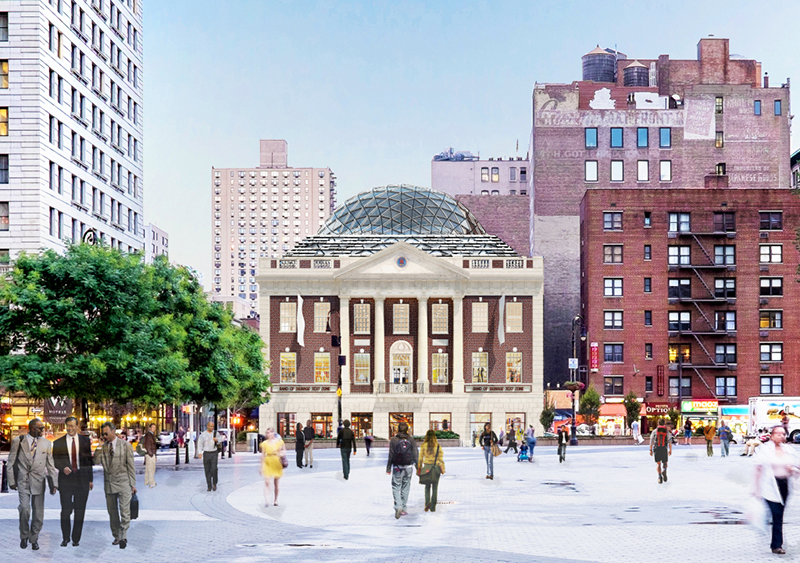 Designed by BKSK Architects, the new project, 44 Union Square East, features a glass dome atop the old building. Recently the building was used for a theater, but the new project converts it to retail and office space, with the first at the base and the second beneath the dome. 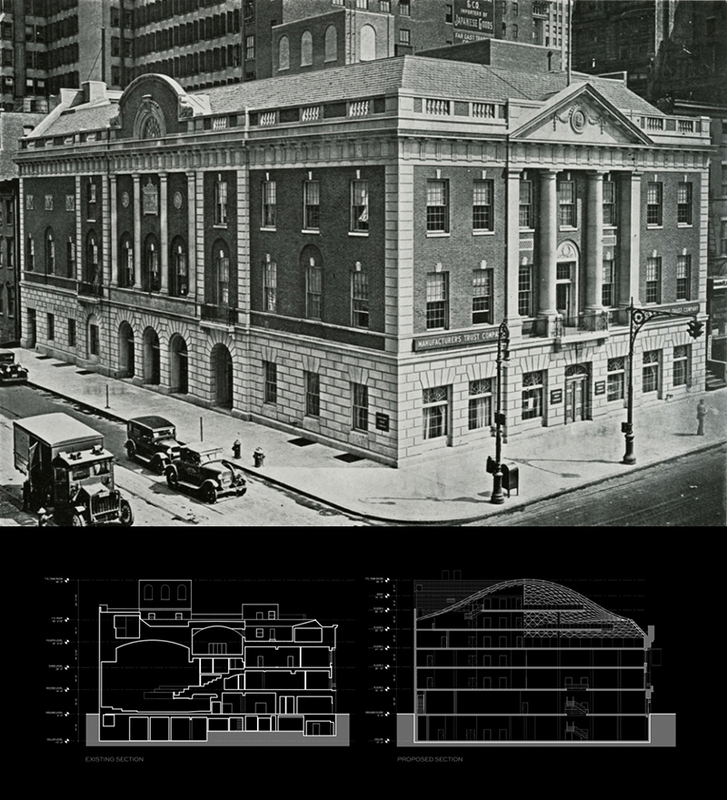 Compare the above rendering with a period photo of the 1929 building and before/after sections of the project. One glass-topped renovation near Union Square is an anomaly, but two of them is the start of a trend (though not a full-blown trend). 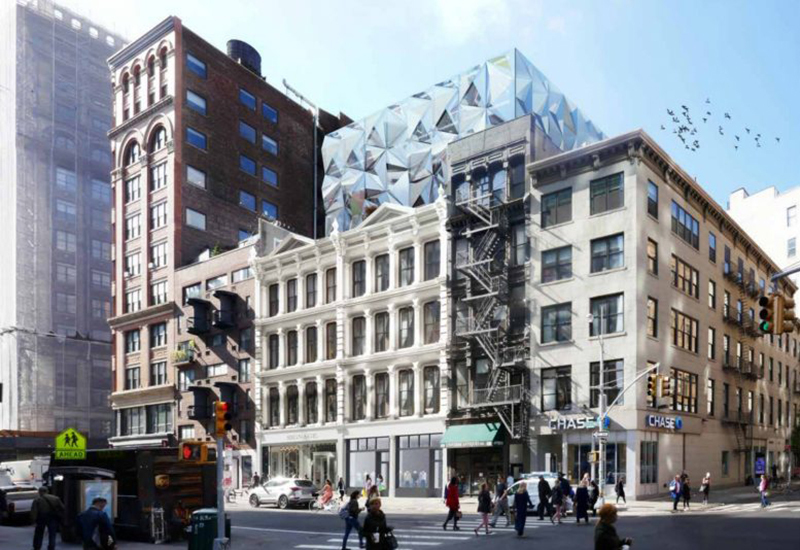 The second project is DXA Studio's proposed expansion, spotted at New York YIMBY, of two landmarked buildings on Broadway between 12th and 13th Streets, across from the Strand Book Store. While BKSK's plans for renovating Tammany Hall were approved by Landmarks Preservation Commission in 2015, DXA is in the process of obtaining LPC approval. Even though the two designs are very different, the BKSK project sets a precedent for a contemporary rooftop addition in an area with many historic buildings.